We finished our migration unit in room 11 at the end of November but I hadn’t had a chance to blog about it yet so this is catching me up. Being my first year in Kindergarten I didn’t want to rock the boat too much so with a few exceptions I have been sticking to the themes my predecessor used. Between Halloween and Christmas we studied the topic of migration. I really had no idea how to approach this and wanted to do more than just talk about he Canada Goose. I started by getting some books – I simply used Google and the Indigo-Chapters website to look for picture books on migration. I picked a variety and placed an order. When my order came it I took a look at one book and easily decided how I would approach this unit. We feel the urge to go. It’s something we just know. 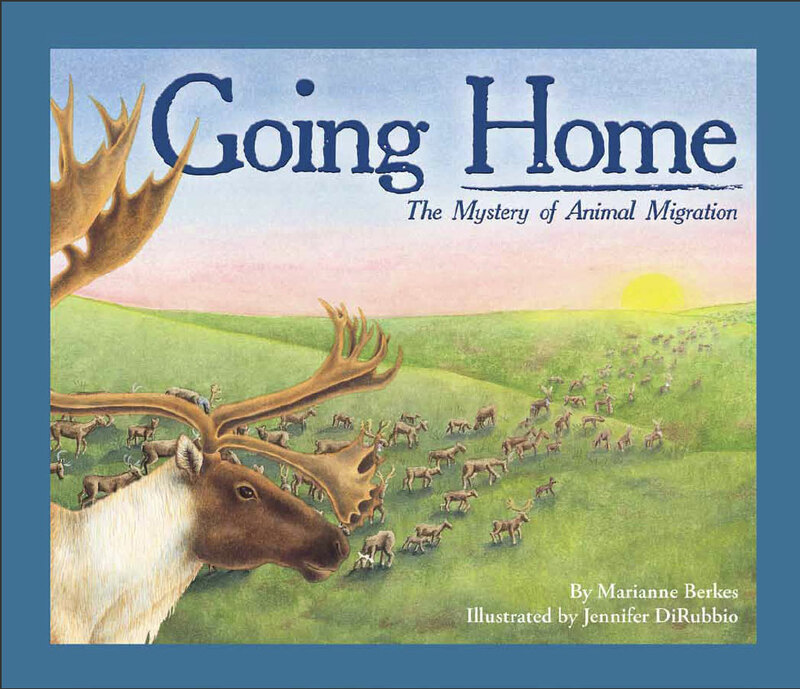 Going Home: The Mystery of Animal Migration, by Marianne Berkes and illustrated by Jennifer DiRubbio is a must have book for any teacher doing a unit on migration. Beautifully written with accompanying illustrations it tells of 10 animals that all migration for a variety of reasons. Each page has an 8 line rhyming verse introducing the animal and it’s migration patterns, accompanying a detailed illustration. On the facing page is also a small write-up giving more detail on the animals. At the end of the book there is a map showing where each animal migrates. more detailed information on the migrating animals, a list of places to look for more information and tips from the author on activities. On the first day of our unit I introduced the first page of the book to my class (seen above) and picture of all the 10 animals in the book. I told them we would be learning about the Canadian Goose and Ruby-Throated Hummingbird because they both spend their summers where we live, and that we would also be learning about 3 other animals. The part that really got them excited is that they would be picking the 3 other animals from the other 8 in our book. I made a chart with pictures of each of the 8 animals and each student was given two stickers. They were to put a sticker underneath the two animals that they wanted to learn about the most. We talked about picking what you wanted to learn about and not worrying about what your friends and classmates picked. We had just finished a unit on Data Management in Math so they were very familiar with tallies and graphs. I still have the graph on my wall at school and when I go back into the school I will take a picture and post it here. The winners were: Pacific Salmon, Manatee, and Caribou. In our study of fall we went on a walk in the neighbourhood around the school which included a visit to a pond near the school. Here we saw a large number of Canadian Geese. Canada Geese are not at all an uncommon sight in our town. We actually have an over population of Canada Geese at our main park downtown. I decided to start with an animal that the kids would easily see everyday. I started by reading them the page in Going Home about Canada Geese, and we learned why they fly in a V formation (to conserve energy). Then I read them Grady the Goose which also tied in nicely to our character ed trait of the month compassion. There were some great text-to-text connections when Grady became tired very easily when flying by himself (didn’t have others to make a V formation). Next I introduced them to our migration maps. 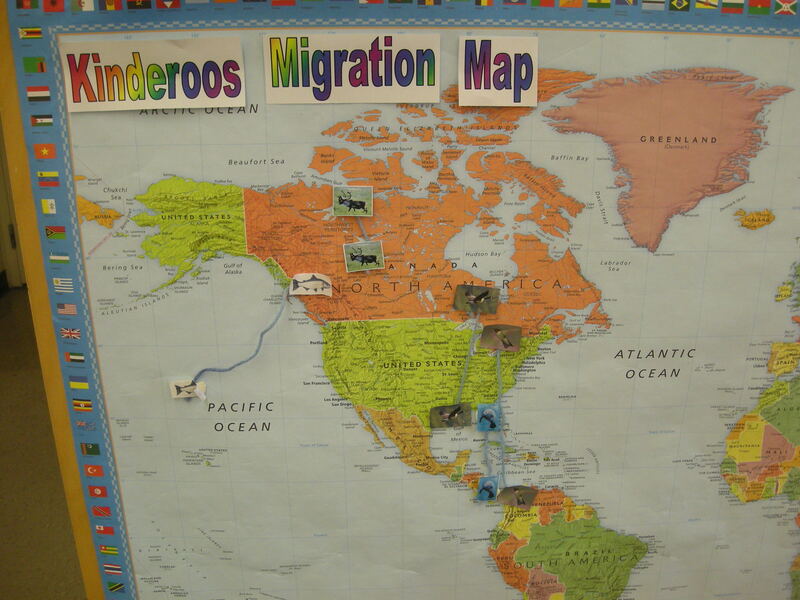 Throughout our unit we made two maps that showed the migration of the animals we studied – one inside the classroom and one in the hall to share with the rest of the school. 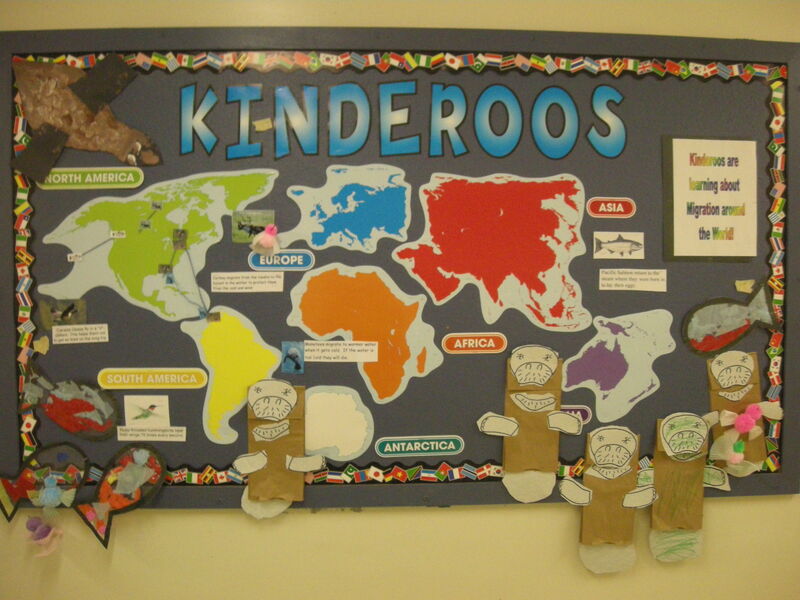 We also posted our crafts of the different animals and a cool fact on each on our board in the hallway. My amazing ECE student Sheena prepared a craft station that was made available to the students during activity time every day. They could make a craft of the animal that we learned about that day if they wanted to. We borrow the Canada Goose craft from my teacher partner. The students sponge painted colours on the Canada Geese that Sheena had prepared (a body outline and a rectangle for the wings). When they dried she stapled the wings on the body. I have hummingbird feeders outside of my house but never seem to get as many hummingbirds in the summer as my dad does. When we are over at my parents house we often see them at the feeders on his back porch. I have seen them many times but never thought about their migration before. Again I started by reading the class the page in Going Home, where we learned that they migrate to lay their eggs south of the Gulf of Mexico. The EA in my room, Alison, showed the kids a cute YouTube video of a rescued baby hummingbird. I didn’t have any books on Hummingbirds so I also read them Tree of Birds by Susan Meddaugh. This is a story of a boy Harry who rescues a tropical bird when she is hurt by a car but doesn’t want to let her go to migrate south. The story is about a fictional bird but we made connections on the importance of weather for some types of birds. One word of caution – if reading this book aloud you may want to change some of the language. At one point Harry screams “Stupid, Stupid Birds”, which I changed to “Silly, Silly Birds”. For craft Sheena helped the kids make their own hummingbirds using pom-poms, toothpicks, and muffin cups as I found in a blog post by Ramblings of a Crazy Woman. They turned out supper cute. I was surprised when the students selected the Pacific Salmon as one of the animals they wanted to learn about. In Going Home they learned that salmon migrate up streams to lay their eggs in the same place where they were born. 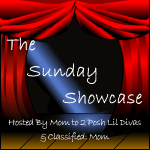 As a story I read them the classic A Salmon for Simon, about a young boy named Simon who desperately wants to catch a fish. He lives on the West Coast of Canada and the Salmon approach shore when heading for the streams where they will go to lay their eggs. I found a very cute video on the life cycle of Pacific Salmon I showed the class. 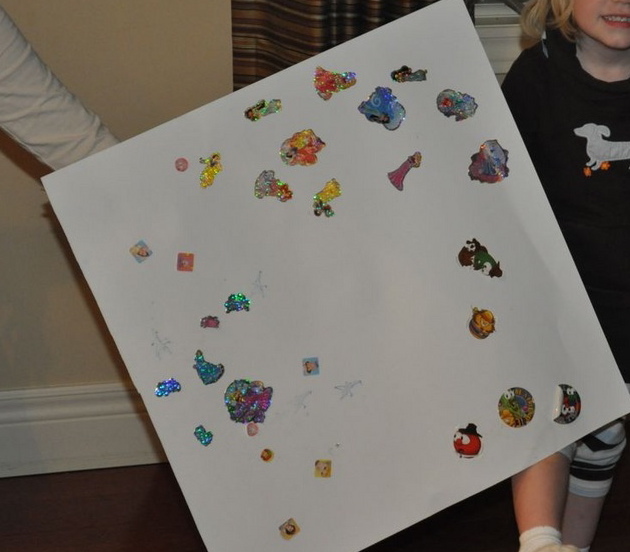 For a craft we made fish using construction paper outlines and contact paper that can be found at any dollar store. The students torn up small pieces of tissue paper to stick to the contact paper making their salmon. This was probably the most surprising selection by the class and the most difficult to plan. In Going Home we learned that Manatees migrate to find warmer water when the temperature drops. Books on Manatees are limited but I did read them portions of Dances with Manatees by Faith McNulty. This is a level 4 reader that has tonnes of great information on Manatees, but it it way too long to use as a read-aloud so I only ready portions of it to the entire class. I left it in the class library for students to explore on their own. We were doing well with the videos so I continued the trend with another Youtube video, this time showing them what manatee looks like and why it is nicknamed the ‘sea cow’. We were at a loss for a craft but we managed to find a pattern for a paper bag puppet that we made available in the craft centre. This was a great cross-over, our last day of our migration unit we learned about Caribou which are also called Reindeer in different parts of the world. This was a great segway into our Christmas unit! From Going Home we learned that caribou migrate south into the forest for protection from the wind in the winter but in the spring migrate north to fee on the tundra. I showed them a final video, this time of the caribou migration. To finish off I read them Jan Brett’s The Wild Christmas Reindeer. 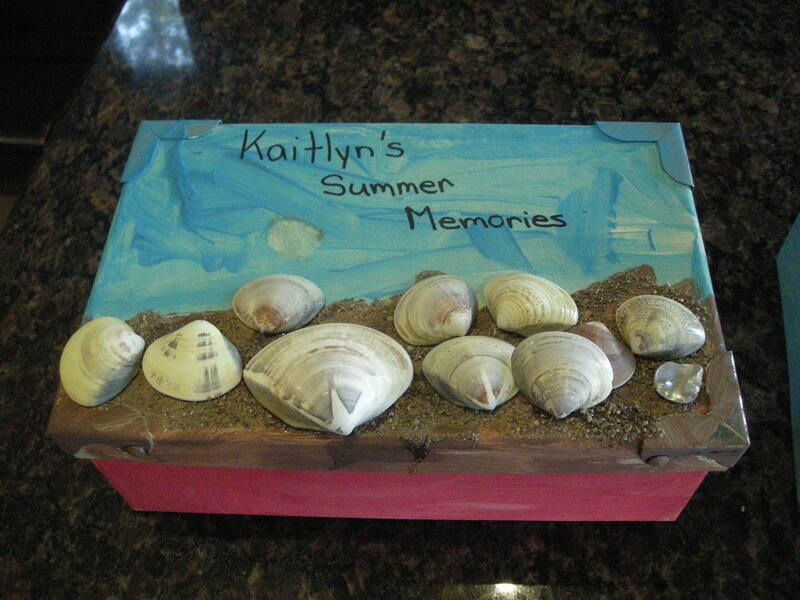 Our final craft was not an optional craft but instead a handprint craft for our memory books that I create for the kids to take home at the end of the school year. 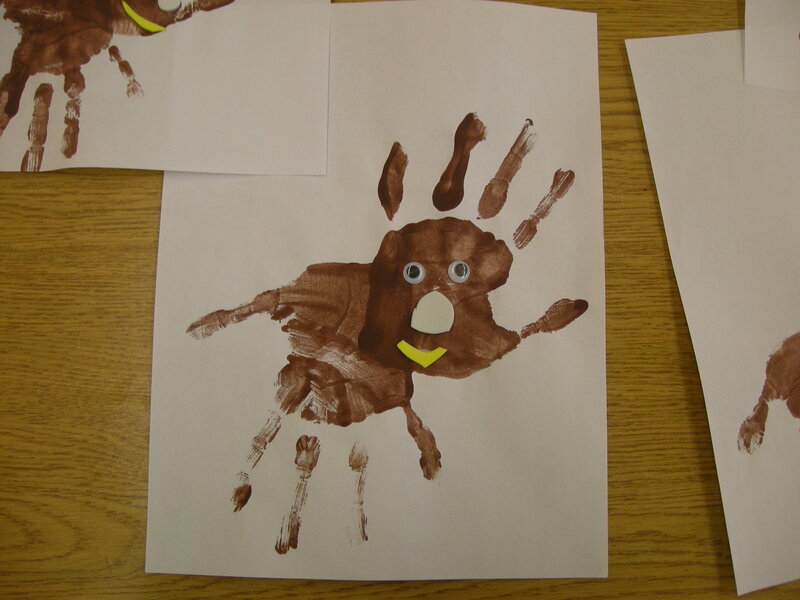 Every month we make a different handprints so our November handprint was a caribou. I found the idea at Reading Confetti and modified it slightly to exclude the red nose (wanted to make sure it was more like a caribou and less like Rudolph) and excluded the bell so that it would lay flat in our memory book. We used scrap foam for the nose and mouth. Our unit turned out pretty cool! 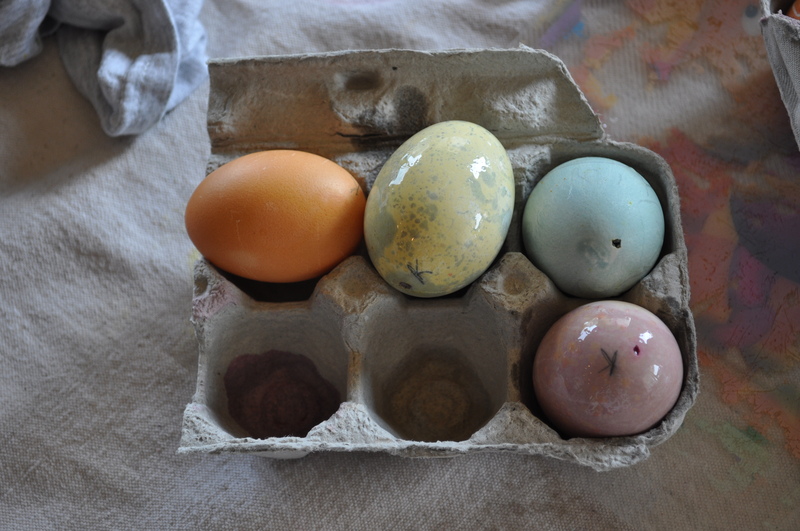 My girls are collectors. 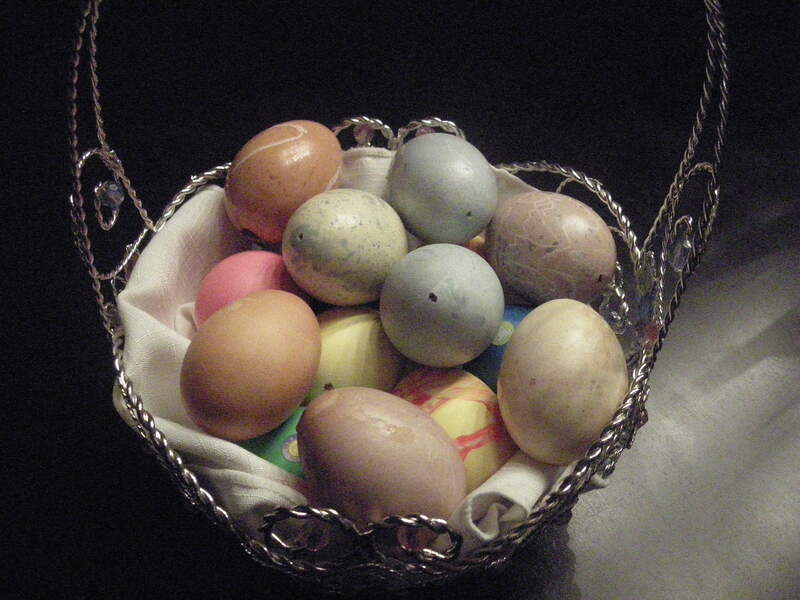 They love to find and collect treasures, and this multiplies in the summer. 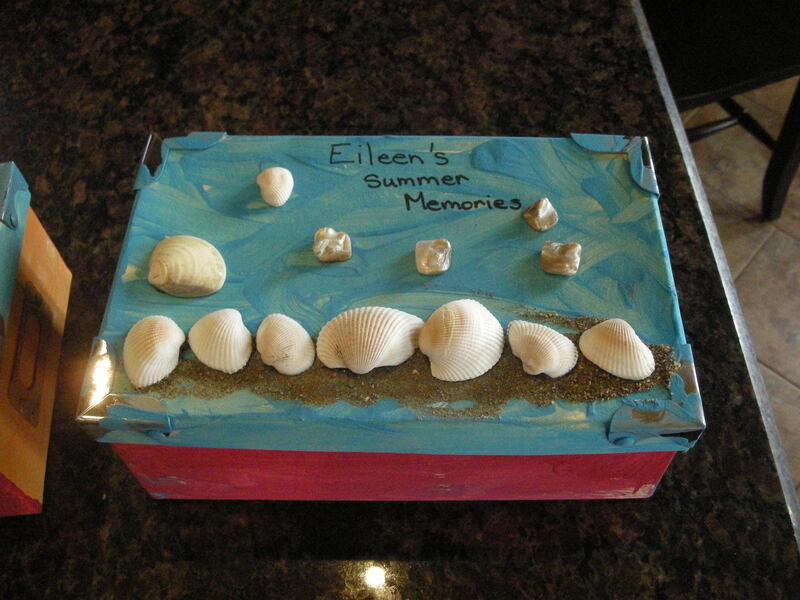 I thought we could make some special boxes for them to store (and contain) their treasures this summer. I drew inspiration from the awesome site Kiboomu. 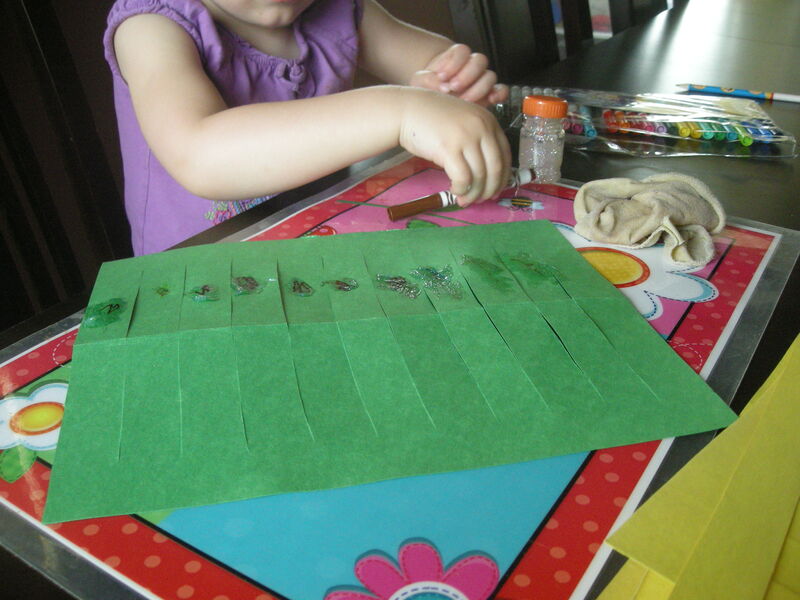 This craft started with a trip to the dollar store. Normally I take the kids with me so they can pick out their craft supplies but I was out without them for a meeting and stopped off on my way home. They didn’t have exactly the boxes I was looking for but I found something that would work. They came in many colours but I picked the light yellow ones so that it would be easier for them to paint them whatever colour they wanted. I also found some cool shells. 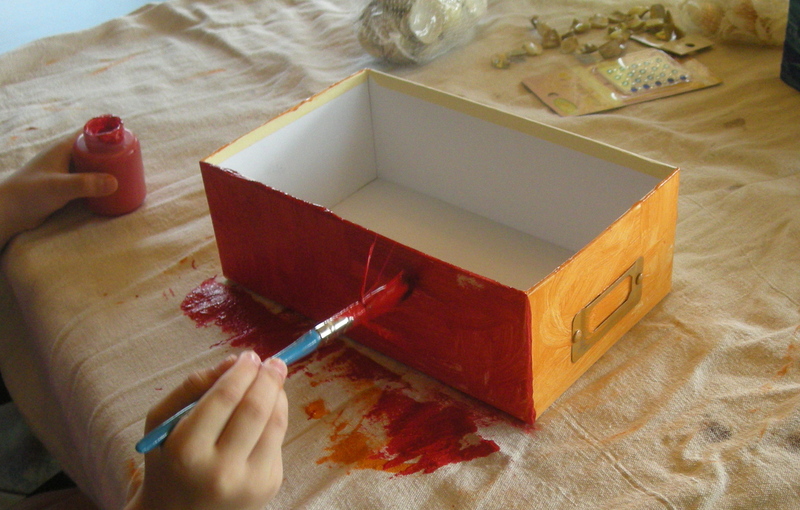 The first step was to paint the boxes. 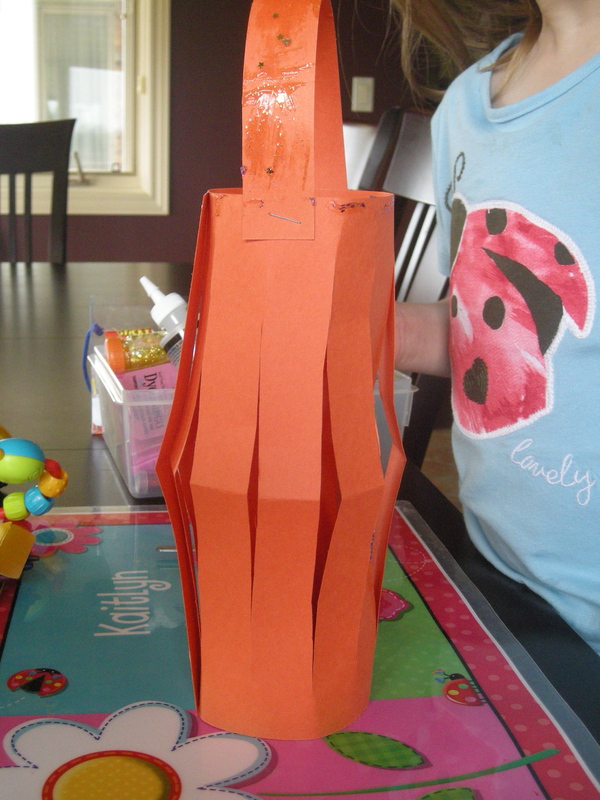 Kaitlyn’s favourite colours right now are orange and red so she painted the ends orange and the sides red. 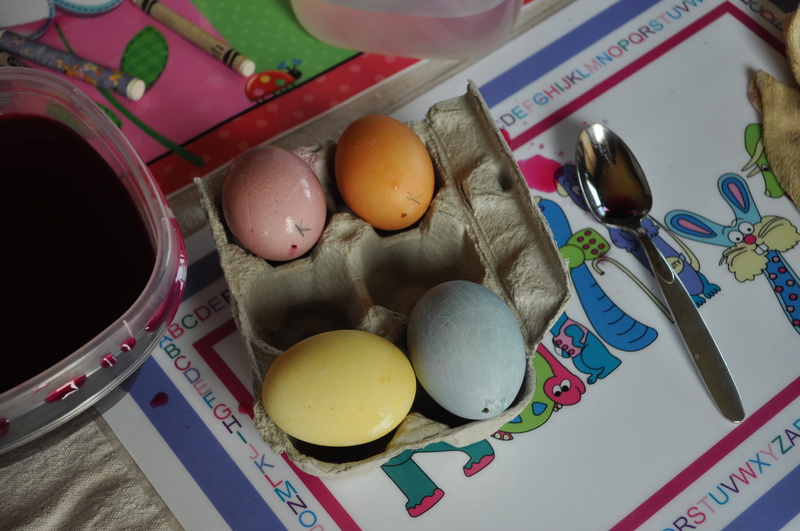 Eileen decided to use 4 different colours and did an awesome job painting all on her own. 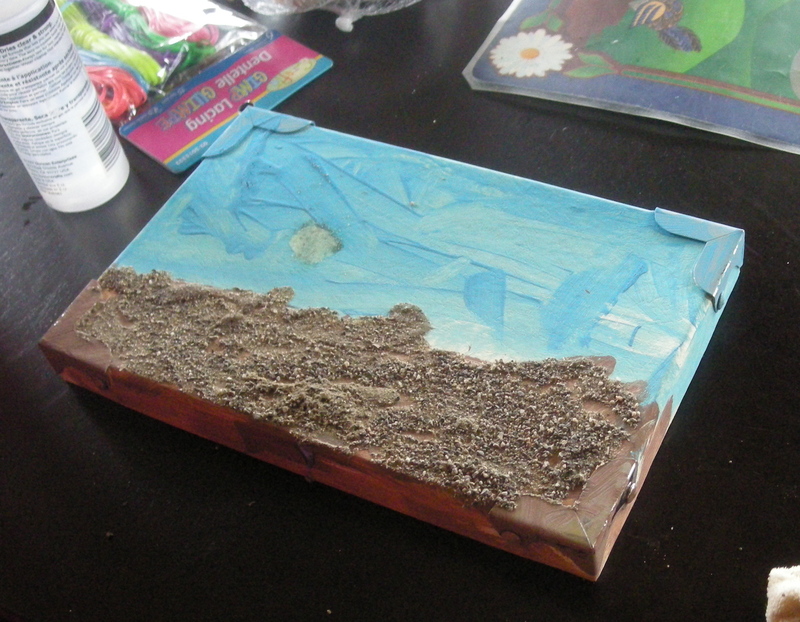 For the lid Kaitlyn decided to paint the lower part brown for her sand and then the top blue for the water/sky. 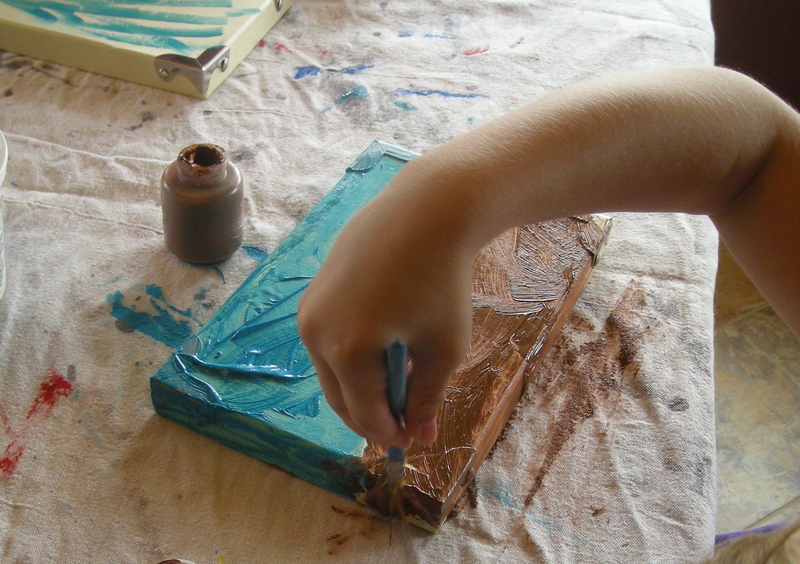 The uneven painting created a great texture and the impression of waves in parts. 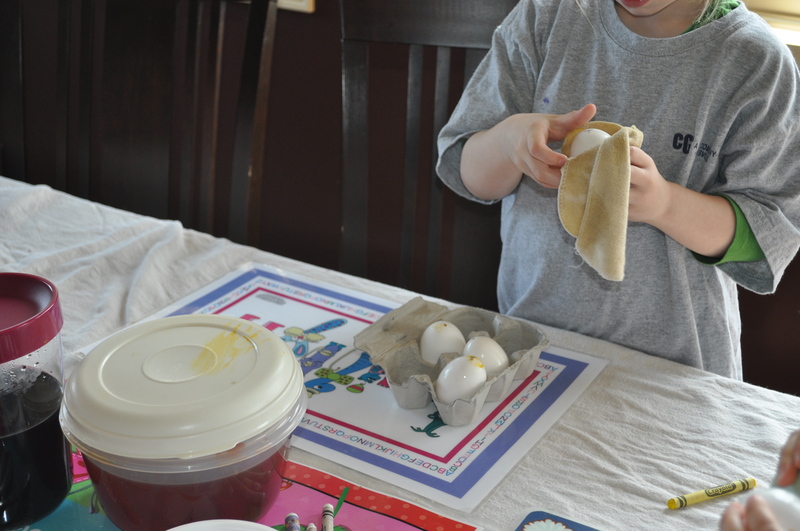 After letting them dry overnight we added real sand to the ‘sand’ portions of our lids. To add the sand they put glue whereever they wanted the sand to stick and then sprinkled sand over top. To decrease the mess I found that working in a large baking dish was handy. They simply poured the sand over top, then lifed the lid and shock off any excess and I poured the leftovers back in the bucket. 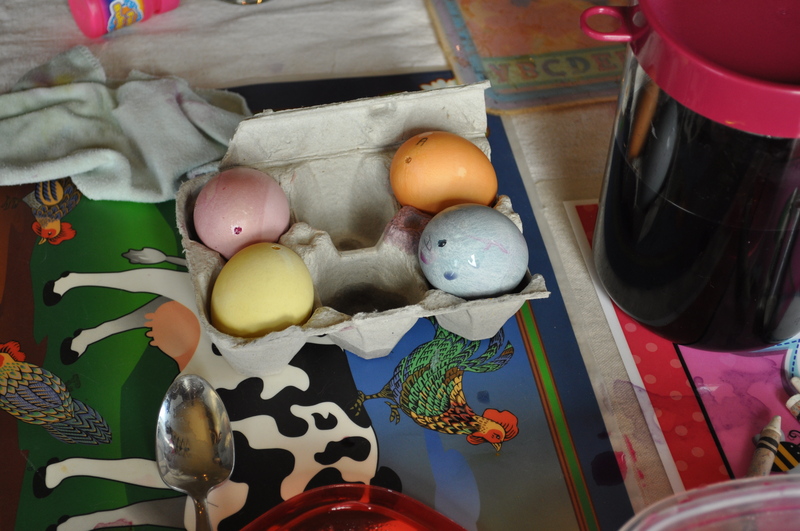 Other than the time when Eileen took a large handful and threw it on the table it was a relatively clean craft. 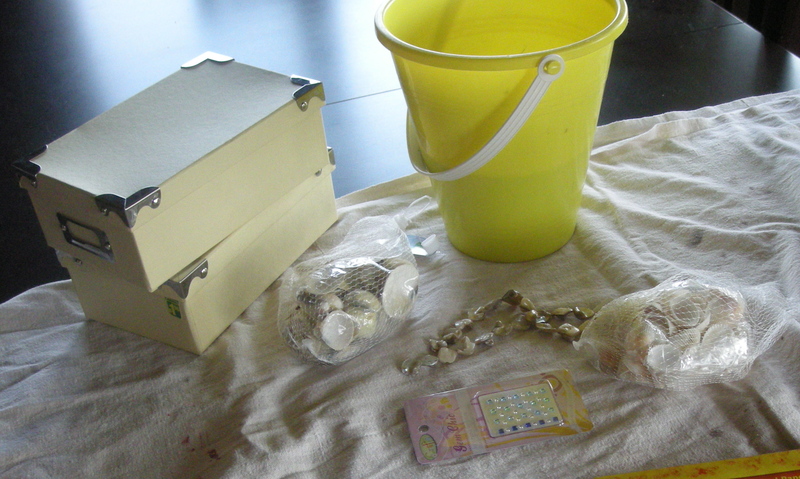 To finish off they glued on a number of shells and stones and then I added the titles for them. 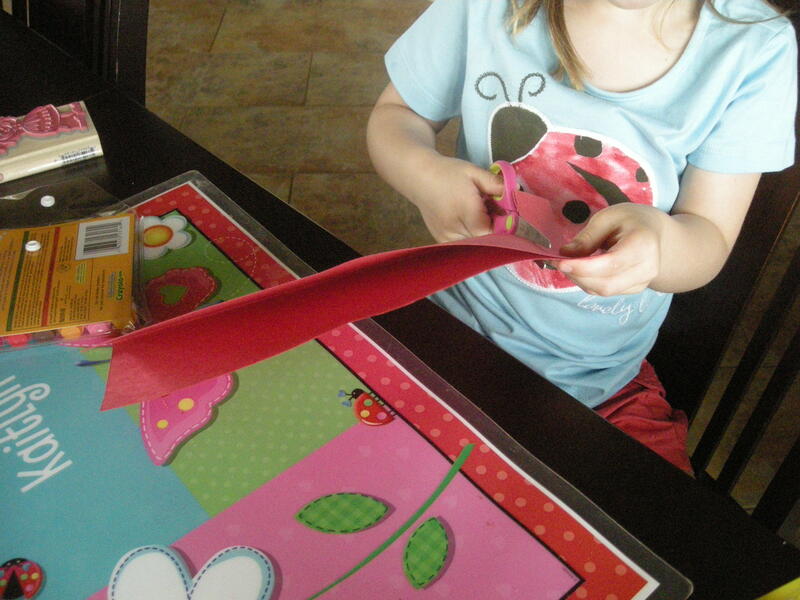 An easy craft they could both do by themselves and they are now prepared for treasure hunting! If you have been following my Literacy Tuesday blogs you will know that we were reading a number of alphabet concept books. One of the books we read was D is for Dancing Dragon – A China Alphabet by Carol Crane and Illustrated by Zong-Zhou Wang, and if you are interested in the book I commented on it at my library blog. This book was the jumping off point for our China day. 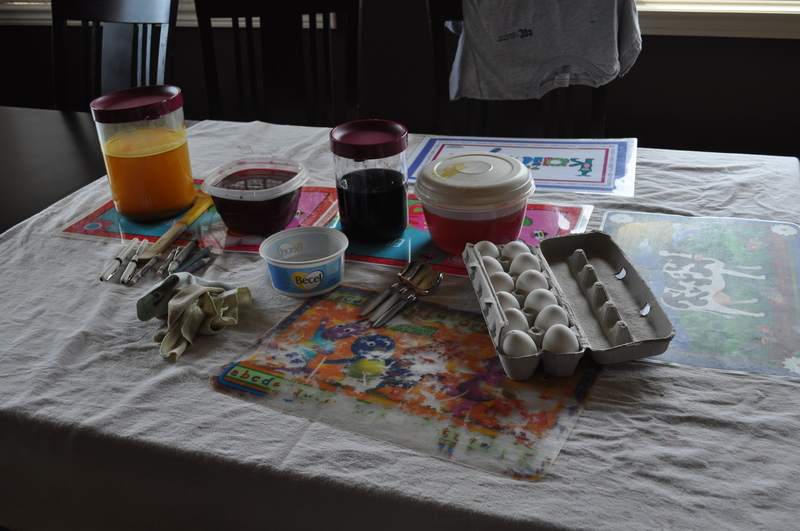 From here we found a research idea, crafts and decorations to make, and food we had to include in our celebration. I am not going to try an include everything in one blog post, instead I am going to try and group what we did preparing for the day and on the day itself, into a few blog posts. The past few years I have worked as a teacher-librarian and one of the main focuses has been to teach students how to learn for themselves. This was the first opportunity I have had to directly teach my own children research skills, well Kaitlyn was the only one actually researching, Eileen just was along for the ride. 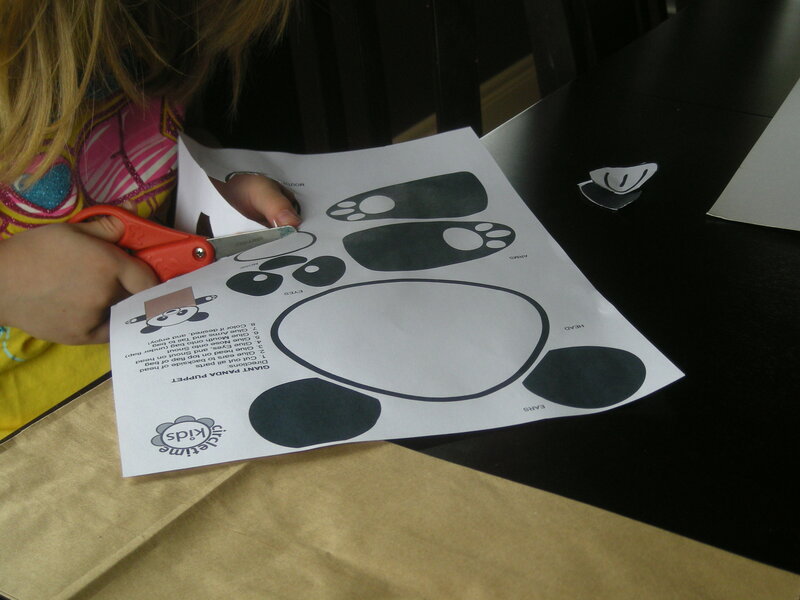 We started by reviewing the letter P in our alphabet book – The Giant Panda. We started this on a literacy Tuesday so I printed off some P worksheets and colouring pages for an introduction. Kaitlyn particularly liked the P wordsearch and I appreciated that it was the perfect level of difficulty for her. 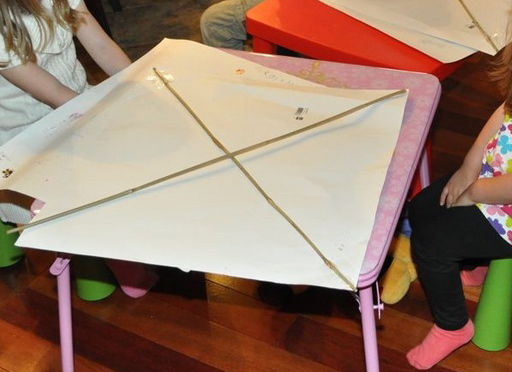 Eileen made an attempt to trace the P letter pages I gave her, which is a big step for her. They both coloured a few printable pages, and Kaitlyn even made an effort to colour the correct colours in the correct places. The final part was to learn a bit more about Pandas. I picked up a number of panda books at the library, both fiction and non-fiction but before I let the girls look at them I told them they had to come up with 5 questions they wanted to know about Pandas. I first introduced the concept of an endangered species and the definition of extinct. The example of the dinosaurs being extinct is easy for them to understand. Why can’t we have a panda as a pet? Do they live around people? Do they run or walk? I thought they were pretty good questions. We used our books from the library to find the answers. I read the books to the girls and Kaityn stopped me everytime there was an answer to one of her questions. 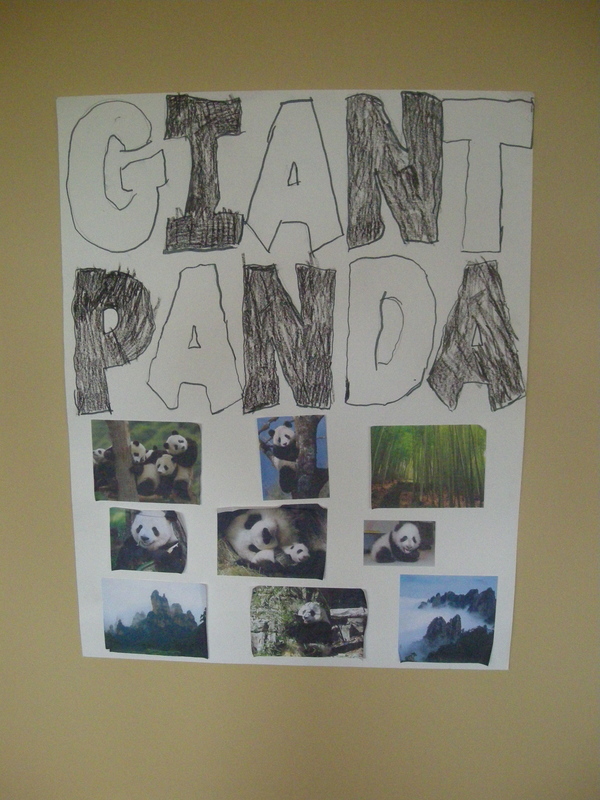 When we were done we made a Giant Panda poster and picked pictures that answered some of the questions. 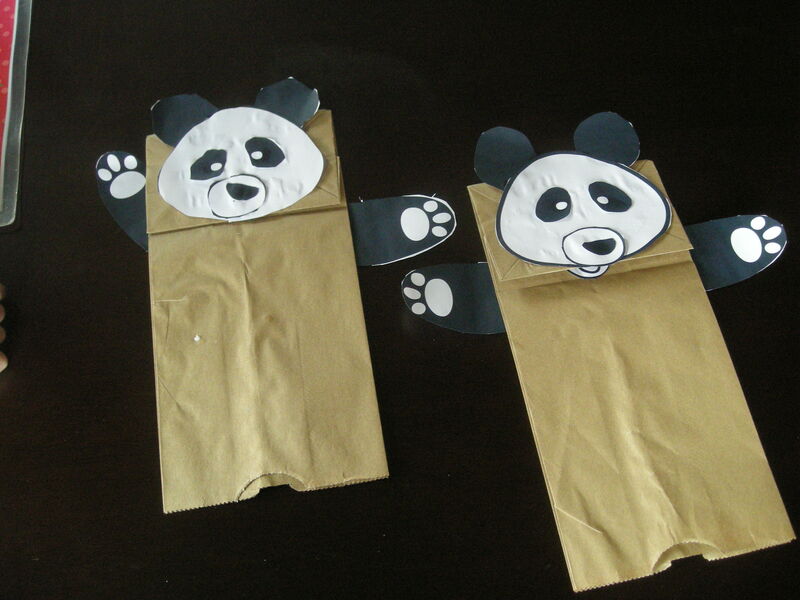 For example she learned that Giant Pandas like climb so we made sure to include a picture of a panda climbing. I decided to try and take it one step further and introduced some social awareness to Kaitlyn. After discussing endangered animals and the possibilities of extinction we started to talk about what we could do to help. 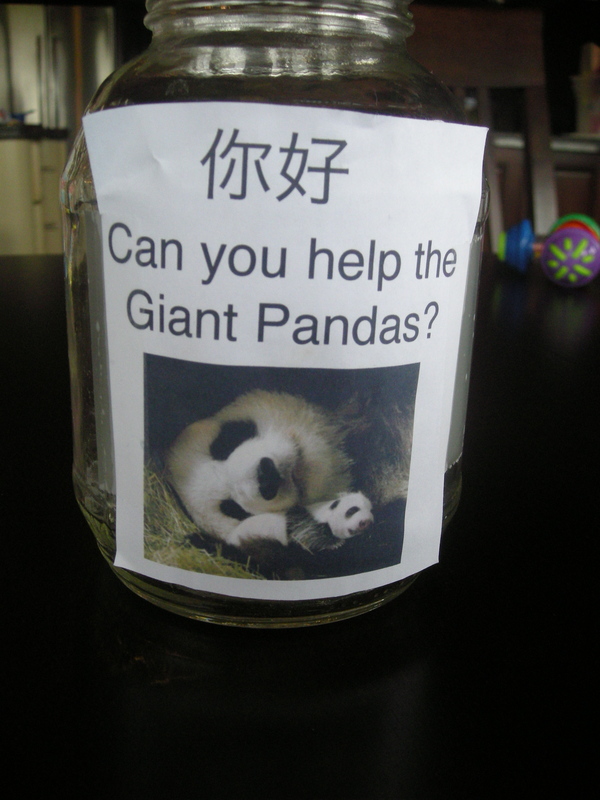 We discussed the WWF and decided to have a donation jar at our Chinese festival. She let our family who was coming know of the jar and she collected $13.87 in loose change and her Aunt & Uncle also made a symbolic adoption in her name. Mommy and Daddy added to the $13.87 to make another symbolic adoption. One small step to start raising the idea of making a positive impact in the world. 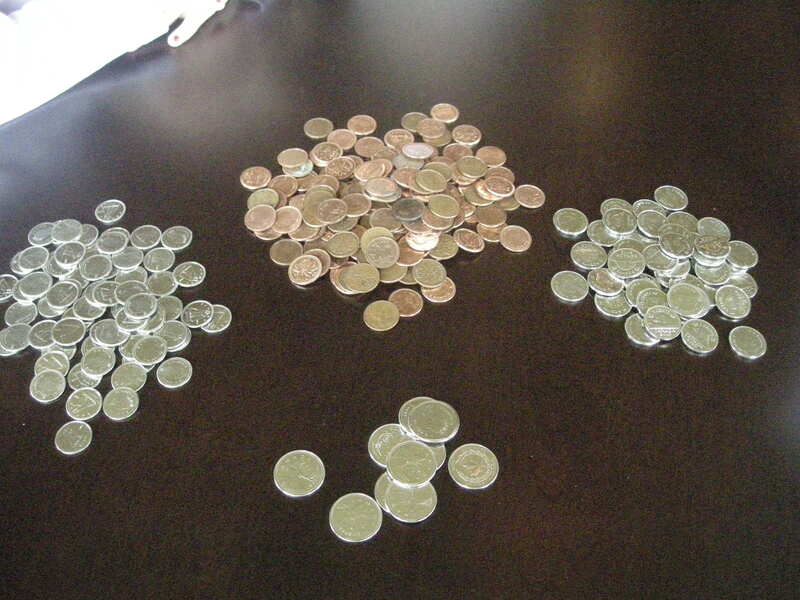 We even got a bit of a math lesson out of it sorting all the coins. And what is a party without party favours! I found a seller through ebay who sold Chinese parasols. 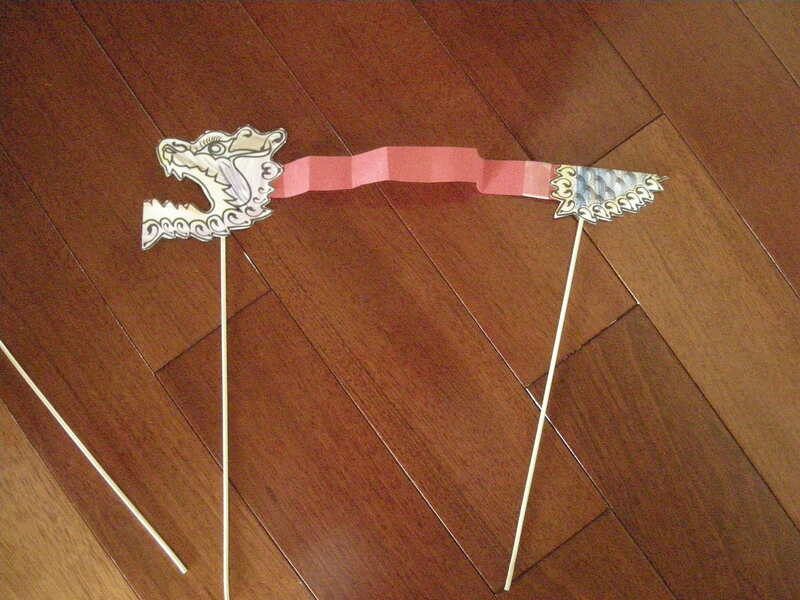 For my cousin’s son who was at the party I got him a small dragon puppet.